USA-. 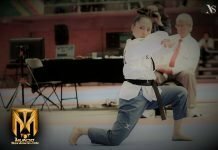 Action of good Taekwondo with Poomsae, Kyrougy for children, youth and adults was part of the show of the state championship of California, held recently in Fresno. California taekwondo remains strong with fantastic ideas to grow nationally and internationally. There is a high level of teachers and athletes of Taekwondo and it shows the demonstrations of forms and combats in the state championship. “On behalf of the CUTA Board of Directors, SG Derrik Carter, TG Maryhien Pham, VP Henry Cruz, VP Martin Ramirez, Mauricio Ramirez I would like to thank all of you for your support and participation. Once again we held the largest State Championships in the US with 1,800+ competitors over 3 days. Events of this magnitude is not possible without great team work and communication”, said Yong Choi, CUTA leader. CUTA leader, thanked the people, sponsors and the California Taekwondo family for their support. “I would like to specially thank our Referee Chairs GM Jun C. Yoon, Masters Mike Wong, Keith Quatro, Vincent Lo and Danny Gonzalez for their hard work in planning and executing referee logistics; Event Director Master Elviz Chavez for planning events for CUTA and athletes throughout the year; Master Edward E. Givans for his brand of tournament management; our sponsors, James Kim of MOOTO/BMA, Janice Song of Daedo/Truescore, Bessie Escobar of Imagine Graphics, and Peter Chang of No Surrender. Without their generous sponsorship, we could not do all the things we do. Lastly, big shout out to Carlos Hernández of Mundo Tekwondo and his team (Aura Aguirre Arcos & Paulina Noriega) for providing media coverage of our event. Thanks to their hard work, our event was followed by international audiences. And last but not the least, master Brian Singer, my Special Advisor and life time CUTA Member, who always bring touch of warmth and love to our Championships”.